TiE New York's mentoring session for startup founders: Together is stronger. April 16, 2019. Don't let group think limit success of your startup. Our mentor program prepares entrepreneurs for the next stage of their startup development as well as for pitch competitions and meetings with financing opportunities. You can think of the TiE New York program as a pre-accelerator - we help you "package" your startup, as well as advice on running a scaleable company that help set your company on the path to success. This April, our focus is on how building a startup "together is stronger." Last month we spoke about the #1 reason for a startup's failure - founders build something that no one needs. Why would a startup walk off a cliff building something nobody wants to use, or pay for? This April we address one standout key reason for failure - group think. Statistics show that companies that have diversity in their management teams are more successful, and stronger. People tend to gravitate toward people that look like themselves, sound like themselves and mirror their responses. While it might make for a more comfortable frictionless beginning, have you created an internal comfort from group think? According to the Harvard Business Review, companies with above-average diversity (measured by migration, industry, career path, gender, education & age) had both 19% points higher innovation revenues and 9% higher EBIT margins on average. McKinsey &Company adds that women account for an average of just 16% of the members of executive teams in the US. Whether you are a man, women or non-binary, finding co-founders that aren't a mirror image of you and embracing the challenge of potentially provocative internal conversation may lead you to a strong long-term team and an IPO. The key to making diversity work for your startup doesn't lie in window dressing for investors, they will see through it, it is about embracing opportunities and seeking people with the same dream that don't necessarily march in lock step. Come join us to make sure you are on the right track! 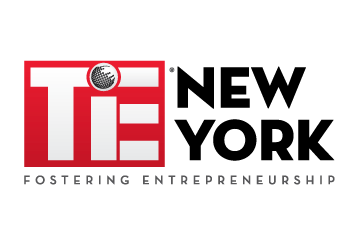 TiE New York's one on one mentoring program, "Mentor Match" welcomes our members looking for startup guidance to be mentored by our experienced Charter Members. Many of our recent mentees came to us as presenters at our Startup Open Mic Nights. Members that have attended our sessions in 2019 and are active TiE New York members are in process of being matched with the mentee's needs foremost in mind during the process. They are being introduced via email as the matches are made by our mentorship committee. If you are interested in becoming a mentee or mentor please register to attend the next event so we can get to know you and fill out the appropriate mentor or mentee intake form for us here. Our mentors are volunteers whose goal is to give back. They are successful founders and investors running their own businesses and funds. They have agreed to volunteer their time for up-to four hours per month in order to help budding entrepreneurs within the TiE NY community.